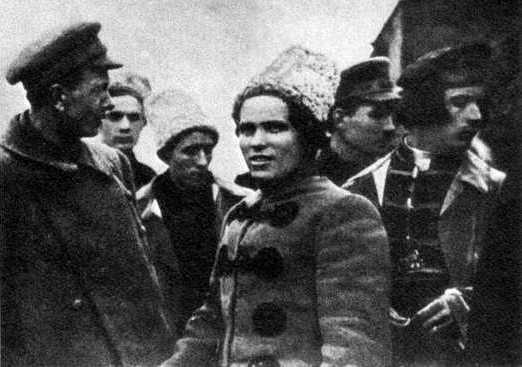 Newsreel footage from 1919 of Nestor Makhno and his troops. This footage dates from the period February – April 1919 when the Makhnovist forces were part of the Red Army. It was part of a much longer Soviet newsreel. Lenin was quite taken with it and insisted on sending it to the Hungarian Soviet Republic (started March 21 1919). There was only one copy! Fortunately the Hungarians sent the newsreel back before their revolution collapsed and it was eventually retrieved from the Soviet archives.